When choosing a dentist, residents of the Lolo area are always looking for experience, quality care, and convenience. Here at Felton Dental Care, located at 1750 Brooks St, Missoula, MT in Missoula, Montana, we have made it our mission to serve the dental needs of this community. Our friendly staff is committed to helping our patients achieve superior oral health. We always encourage our patients to build good dental habits in their Frenchtown, Orchard Homes, or Wye homes so that the whole family can benefit. We enjoy educating patients on subjects such as proper toothbrush care, correct flossing, and choosing the highest quality dental products. We also know that our patients want to look their best, so we are ready to answer any questions you have about cosmetic dentistry procedures such as teeth whitening, veneers, bonding, and dental implants. If you are in the Lolo or Missoula area and are looking for an experienced family or cosmetic dentist, give us a call here at 406-728-0896 to make your appointment. 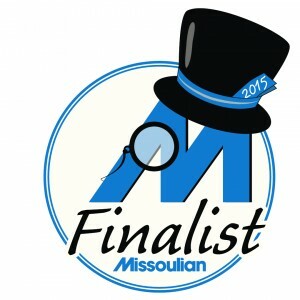 You can also visit us on the web at https://www.themissouladentist.com/about/dr-brett-r-felton-missoula-dentist/.